Although we often think airplane crashes are horrible and unsurvivable events, the survival rate of plane crashes from 1983-2000 was 95.7%. You can dramatically increase your chances of surviving even severe plane crash by knowing simple facts and making little changes. Be prepared, but not scared. A key ingredient to surviving and getting out of the plane alive is being fast. You only have 90 seconds, because afterwards the fire engulfs the plane. 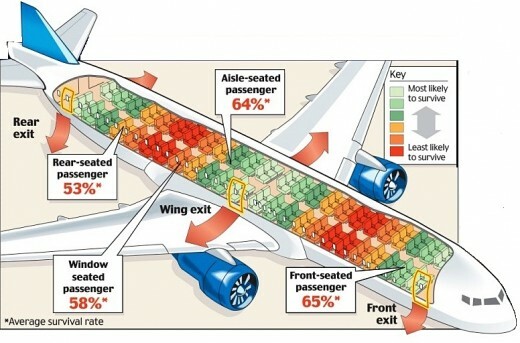 The survey shows that people actually have 30 minutes to get out of the burning plane, but in just 90 seconds the fire can burn through the whole plane aluminum fuselage and consume everything. After testing different survivors, the studies shows that there is a big difference in gender, age and physical heath. Slender men have the best odds of surviving a plane crash. Larger planes have more energy absorption in a crash which means they are subjected to less deadly force. 85% of the small plane accidents are due to the pilot error, while only 37% of large plane accidents are due to the pilot error. The passengers need to move 5 rows before they can get out of the burning airplane. If you are sitting further than that, your chances of surviving are reduced. You can also improve your chances by sitting at the back of the plane. Airlines teach their flight attendants that the most dangerous time of any flight is the time after takeoff and before landing. Close to 80% plane crashes occur in the first three minutes after takeoff or the last eight minutes before landing. The reality is that you only have 60 seconds before you pass out. That’s why there are strict instructions to put an oxygen mask as soon as it drops from a container. 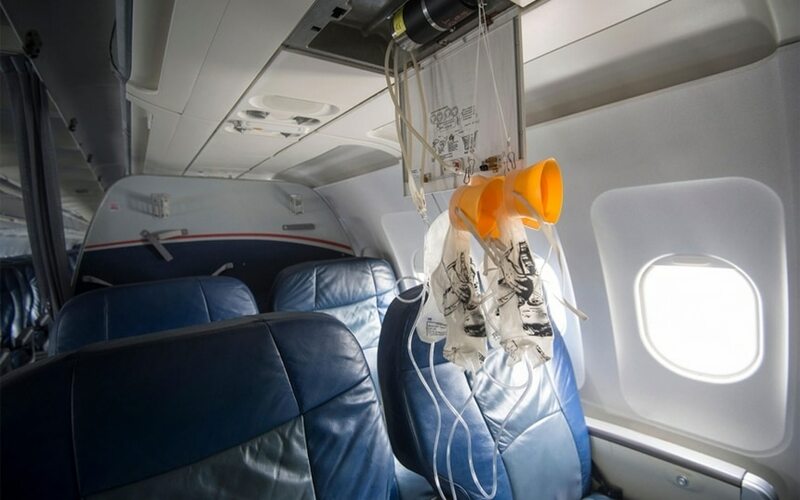 Do you think it’s possible to survive an airplane? Share in comments.